Zosima already delivered some great releases in the field of techno, post-techno and industrial music. this for example on his own Noiztank label. For Enfant Terrible he crafted a dark industrial soundscape record. post-techno for connoisseurs. recommended to fans of Oake, Kerridge, Shaped Noise and Mondkopf. SATAN JOKERS and SORTILEGE, two French cult metal groups of the 80s, were pioneers of the genre in this country. We cant help being thrilled at the union of these outstanding musicians, led by Renaud HANTSON at the drums and as producer and Christian "Zouille" AUGUSTIN as lead singer.Together, they revisit eight titles of SORTILEGE, in more modern, straight versions, without fiorituras or useless effects which would have spoiled the essentials, that is to say Zouilles voice, in all its richness. Hantson has voluntarily withdrawn from the lead vocals, to focus on his drums playing, which remains as efficient as ever. Should it come to energy ("Dailleurs", "Civilisation Perdue", or the classic "Sortil�ge"), or to emotion ("Quand un Aveugle R�ve", "Marchand dHommes"), all is pregnant with a heroic fantasy atmosphere ("Gladiateur", "Chasse le Dragon", "Le Cyclope de lEtang"). Their fans will be delighted to hear again all these songs which had an impact on a whole generation of French Hard Rock enthusiasts. English anarchist post-punk band Zounds had an altogether darker and more polished sound than that of their peers. Formed in 1977, the group cut a demo and sent it to Crass, who signed them to their own label and released their 1980 debut 7-inch, Cant Cheat Karma. Rough Trade picked up Zounds for their next single, 1981s Demystification, and issued their sole LP, The Curse of Zounds!, in 1982. Two non-LP singles, the Mikey Dread-produced Dancing and More Trouble Coming Every Day, appeared later in the year. 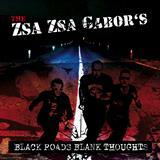 Zounds garnered critical acclaim, but their releases slipped under the radar of most listeners outside the anarchist punk community. Exhaustion and dissatisfaction set in, and after a final EP, 1983s La Vache Qui Rit, the group called it quits. 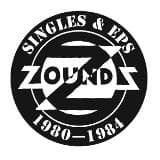 The deluxe reissue of Zounds original 7-inch releases comes as a box set with a download card and buttons. All five records include exact replica sleeves. Together with Crass, Subhumans and The Mob etc. they formed the political punk scene in the mid 80's. This re-issue is a 2 LP set with 20 songs (their LP plus 4 ep's) featuring everything they ever released! 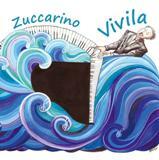 "VIVILA" is the official recording debut for ZUCCARINO. There are nine small stories through which the artist takes a journey from the periphery, not only metaphorical but also geographical, (the Irpinia area, south of Naples, where he was born), towards the center of the music. Maybe this distance probably allowed a heart and head freshness: in this way the songs end up placed in a simple and spontaneous dimension. From the artist's daily life they emerge so naturally even those fundamental questions about the meaning of existence, but that can hardly be answered.The song "Vorrei ballare" presents a valuable duet with AMBROGIO SPARAGNA, surely one of the finest and most representative Italian artists in the field of ethno / folk music. After seventeen years of his career and various projects with which he has explored many different musical genres, and after two solo albums and an EP very dark and experimental, the Ligurian artist has felt the need to engage in a work of real songs own and, more solar and communication both text and music. The result is a CD for the first time in his career, of pop music; Pop in the better way of the term. A CD in which among other things can be found, starting with the title and cover art, a heartfelt tribute to the atmosphere contained in the famous "LA VOCE DEL PADRONE" by famous italian singer/songwriter Franco Battiato (also well know in the prog rock world for his albums Fetus and Pollution), who as a boy and flashed Fabio and introduced him to the world music. 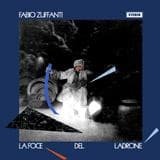 Beyond this reference, it is certainly in the topics of most personal work, musically and lyrically, that Zuffanti ever conceived. The songs speak of memories (1986), surreal situations that intersect with the life lived ('In Cantina', 'Se c'e lei'), dreams and visions ('Capo Nord', 'Lunar Park') and small invective ('Musica strana', 'Una nuova stagione', 'It's time to land'). The tracks are crossed by a charming blend of the hypnotic world, Prog, Wyatt-like and dreamy music that has always characterized Zuffanti's solo music and some atmospheres that were in the air in Italy in the early '80s, creating a sound that is revealed at the end as the original, for the most part, adventurous and new. 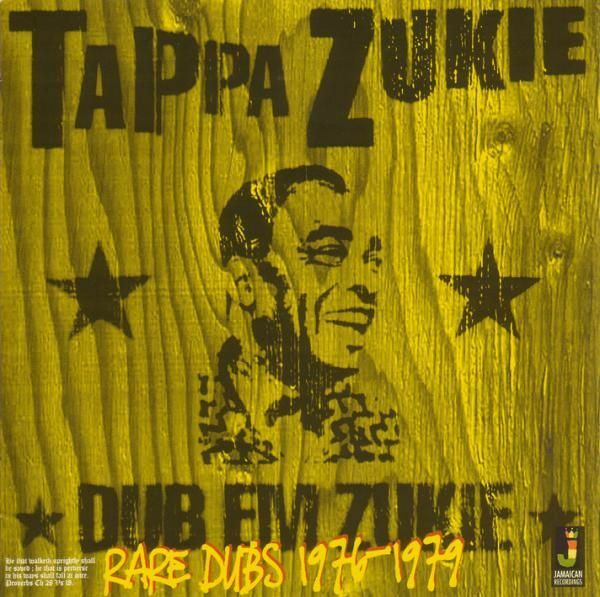 Originally released in 1977 as a dub follow up to Tappers exceptional 1976 release Tappa Zukie in Dub (JRLP044).The In Dub album was cut using the great talents of engineer Philip Smart, but when the tracks were pulled together for its follow up Escape to Hell Philip Smart had left Jamaica for New York and his replacement at the controls was Prince Jammy.Who had just returned from Canada at the request of King Tubby himself. The purpose was to fill Mr. Smarts position. Tapper was definitely in good hands and at the time he would tell the Prince was soon to become King Jammy due to his outstanding studio work. 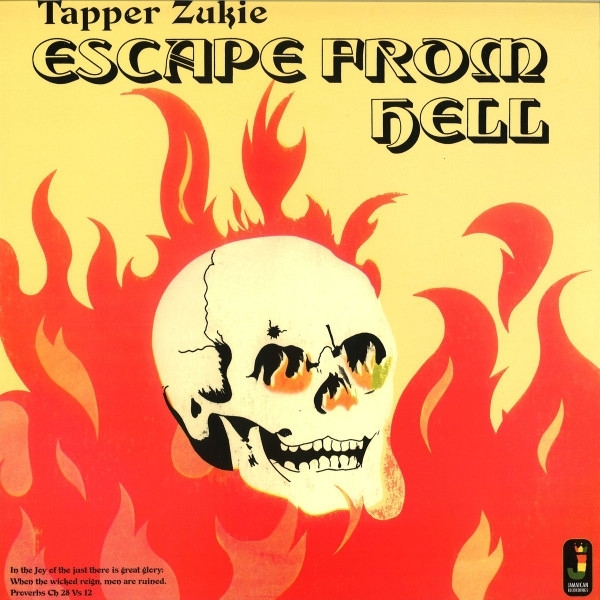 The Escape from Hell set was initially overlooked more to the fact of the small numbers of its original pressing.The album makes great use of Tappers extraordinary Channel One rhythms cut with Sly and Robbies The Revolutionarys Band. Great rhythms matched the magic from King Tubbys studio at the hands of Prince Jammy. 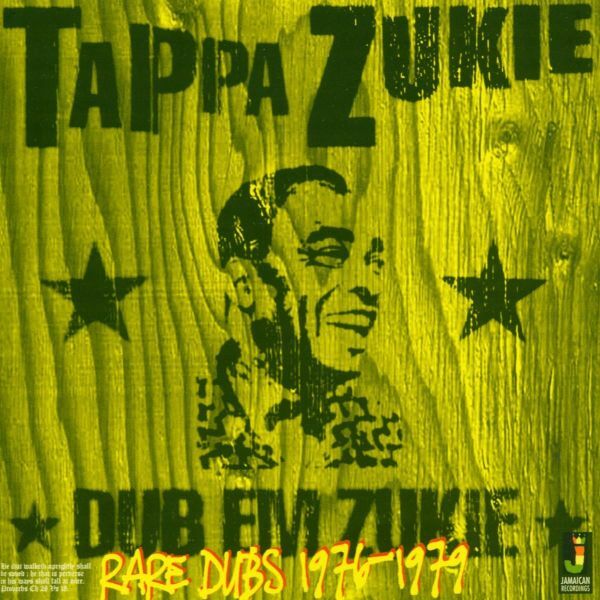 We added the cd release for this album and at Tappers request some alternative dubs and tracks that seem to compliment this set.